If you are interested in realizing your hidden potential and performing well in all areas of life, this book will prove to be life-changing for you. It deals with certain aspects of life such as Self Esteem, Responsibility, Goals, Mission, Relationships, and above all, Self-Management. You will learn how to excel in all areas of life and perform to the fullest of your potential. If you want to Unleash your Hidden Potential, this book is for you! "Avinash Poddar/Bhavin J. Shah "
Avinash Poddar, by profession, is a practicing chartered accountant-advocate and author of books on indirect taxes. He has written more than fifteen books. He has multiple qualifications under his belt. He speaks regularly at conferences and has motivated lot of persons in his profession to achieve better results in life. He attended a workshop held by Bhavin J Shah titled ‘Unleash Your Hidden Potential’ which was very useful to him, as it helped him improve in all areas of life. He decided to write a book on the entire workshop so that others around the world could reap its benefits. 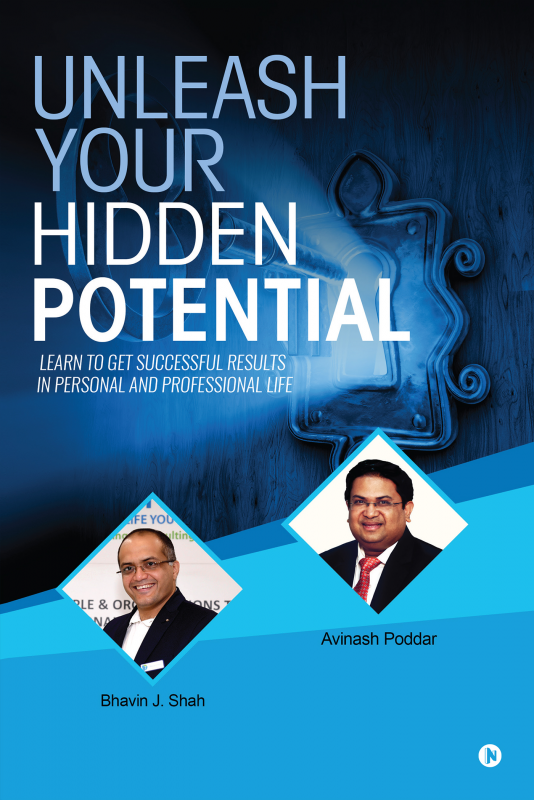 Avinash Poddar’s aim is to make readers understand and identify their hidden potentials and the small things, which, if taken care of, that could make them top performers. Bhavin J Shah, chief coach of Coach for life, is a motivational speaker and has transformed lives of many through his public sessions and workshops. Some of his well-accepted and acclaimed public sessions through which he has reached to more than 98000 persons in last 6 years are Aayiye Dhanyavad Karein Mata Pita ka, Ek Duje ke liye, Maniye aap ek Company hai, Way to Happiness,…. Some of the workshops led by Bhavin J Shah which has impacted thousands of participants are Unleash Your Hidden Potential, Forever Together, Be the Best Performer…..